Dinosaurs are interesting at any age, in my opinion, but especially fascinating to children. As an FHEInsider, I received items for this post. All opinions are my own. 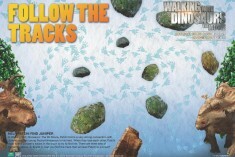 Walking with Dinosaurs the Movie is available as of March 25, 2014. 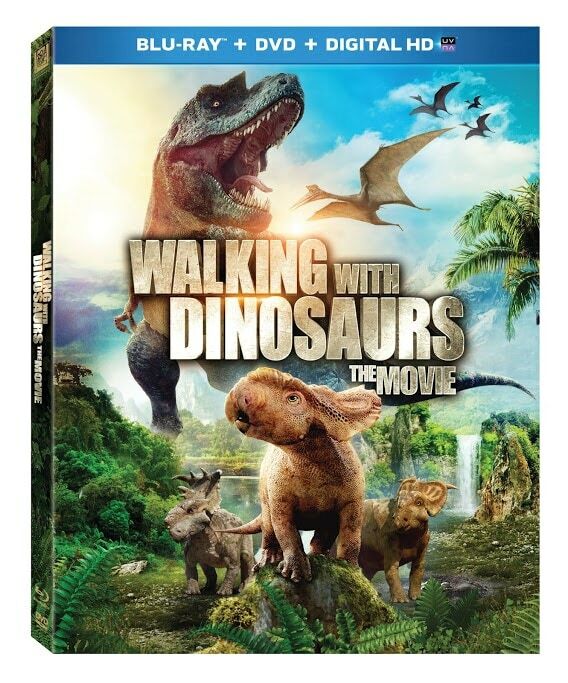 Dino fans of all ages will be ‘herding” to get their own copy of Walking With Dinosaurs The Movie, releasing on Blu-ray™ and DVD March 25. Hailed by viewers for its explosive visual achievements, Walking With Dinosaurs is “Jurassic Park meets The Lion King” (The Today Show) and “…too good a visual treat to miss” (Philadelphia Inquirer). This movie is a must-see for the stunning graphics and visual effects alone. Prepare to be impressed and entertained during this magical story about the mysterious giants that we all love to learn more about. 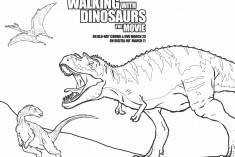 Make sure to pick up your copy of Walking with Dinosaurs the Movie today. Just in time for Easter and maybe even spring break. The whole family can enjoy this movie many times over! 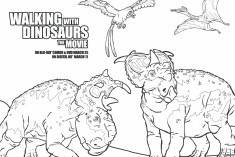 I would love to win this movie because we haven’t gotten a chance to see it yet, but I know my dinosaur-loving grandsons would LOVE it! They would learn so many new facts! I’d like to be able to win this for my nephew so I can give it to him for Easter. I would like to win because Dinosaurs have always facinated me. And I have a little guy in the dino stage who would love to see this! I would like to win because my son saw this movie once and loved it. 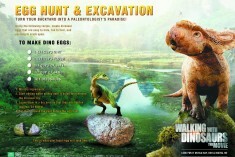 I would love to win this as my son is all about dinosaurs! He would go nuts! My grandson, who just turned 8, has been a self-proclaimed expert on dinosaurs since he was 2, correcting us on the right way to say each dinosaurs name and details about it. He loves dinosaurs and I would love to win this for him! 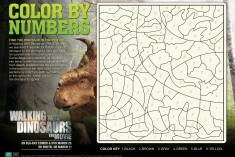 I would love to win this for my great-nephew who is obsessed with dinosaurs. Would love to win this because my kids wanted to see this in the movies. We didn’t get a chance too. I want to win this for my family and I (children, wife, myself). We watched the trailer 2 days ago and were FINALLY able to afford upgrading to an HDTV and Blu-Ray player, in the last 2 weeks (thanks to tax refund $$$), and we just thought the movie seemed ultra-adorable! The trailer was very cute and the movie looks awesome. My 10-yr-old son also happens to love dinosaurs, so that helps too, lol. Thnak you for this wonderful opportunity! 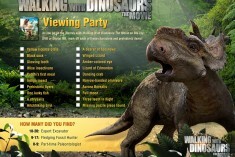 I would love to win because my boys love everything with dinosaurs. I’d like to win so I can give it to my nephew. I would like to win this for my grandchild.